You can find Gator alumni in 138 countries worldwide! As The Gator Nation® spans the globe, the University of Florida Alumni Association is dedicated to ensuring that no matter where you live, you can remain true to your orange and blue with a strong Gator network. 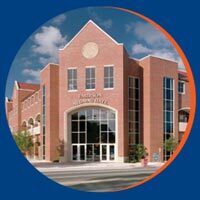 UFAA Gator Clubs® are organizations affiliated with the UF Alumni Association that exist to support the University of Florida's mission of teaching, research and service. Striving to meet the needs of the members in its area, each Club tailors itself to the uniqueness of the community it serves. To better serve our international alumni, we ask you to update your contact information by visiting here. You can also stay connected and informed by joining the Alumni Association. For more information about membership and to join, visit here. If there is not an established international contact where you are and you wish to start a Gator Club®, we invite you to expand the presence of the Gator Nation® by emailing slynn@ufalumni.ufl.edu.